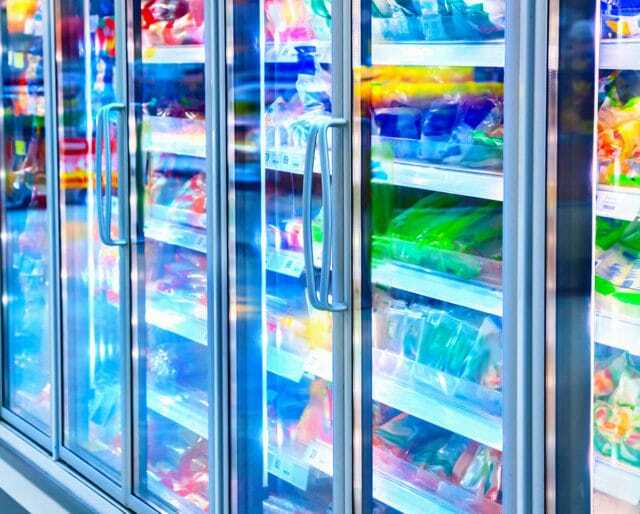 On March 6, we celebrate subzero sustenance with National Frozen Food Day. The day was established by President Ronald Reagan in 1984 with Proclamation #5157: “Now, Therefore, I, Ronald Reagan, President of the United States of America, do hereby proclaim March 6, 1984, as Frozen Food Day, and I call upon the American people to observe such day with appropriate ceremonies and activities.” So, get thee to the frozen food aisle and stock up your freezers to celebrate National Frozen Food Day — the president demands it! Appreciate the diversity of the frozen food industry by enjoying frozen food for every meal on this special day. Start the day with a frozen waffle, try a frozen burrito for lunch, chow down on a delicious frozen pizza for dinner, and for dessert, enjoy a delicious bowl of ice cream. Bon appetit! TV dinners — plastic trays filled with a complete meal with a main and sides made for eating in front of the televisions — are the quintessential American frozen food. Invite your friends over for a dinner party where TV dinners are the order of the day. Buy a variety and have friends pick and choose! National Frozen Food Day was established in support of the frozen food industry, but you can also celebrate the wonder of the freezer by making your own frozen food! Make a big pot of stew or soup and freeze individual portions, or get elaborate and make your own TV dinners. Thanks to frozen food, we never have to have to cook! We can keep all kinds of meals in our freezers and ready to go with just a few minutes in the microwave. Whether we are in the mood for Indian curry, Thai noodles, or an old-fashioned pot pie, it’s a quick trip from the frozen food aisle to our stomachs. We love vegetables (we do, we promise!) but it feels like we are always throwing out produce that has gone bad before we have a chance to use it. With bags of frozen kale and spinach in the freezer, we can always get our greens — even if we haven’t been to the market in weeks! Ice cream is one of the most delicious foods in the world, and thanks to the wonders of frozen food industry, we can have it our homes at all times. Ice cream pints, ice cream bars, ice cream sandwiches — it’s all frozen, and it’s all available in the frozen food aisle.